Some-one changed the equation, limiting Cultures and Countries that have helped seed a nation of doers is slowly becoming a nation of Worldwide Welfare. The influx of Europeans adding professionals as well as workers is nearly halted. Getting here from the nations that created the backbone of exceptionalism are now under restriction while less successful populations flood our Cities and States with those who need some form of welfare just to survive. 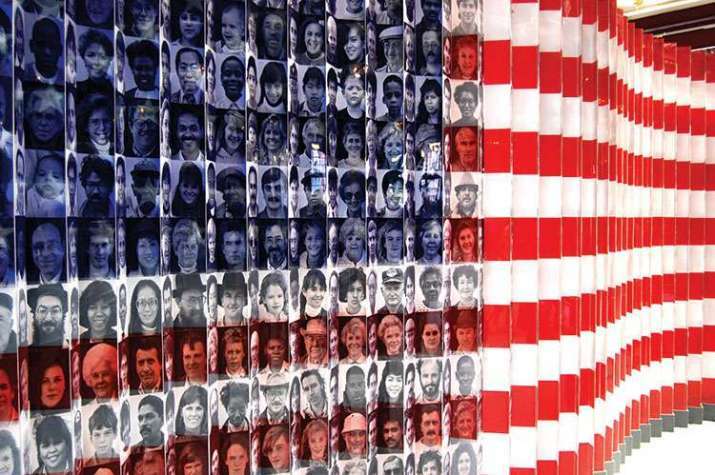 There has never in the history of the nation migration from a single group of immigrants. The share of the U.S. population that is Hispanic has been steadily rising over the past half century. In 2015, Hispanics made up 17.6% of the total U.S. population, up from 3.5% in 1960. According to the latest Pew Research Center projections, the Hispanic share of the U.S. population is expected to reach 24% by 2065. Between 1980 and 2000, immigration was the principal driver of Latino population growth as the Latino immigrant population boomed from 4.2 million to 14.1 million. Since then, however, the primary source of this growth has been U.S. births. Between 2000 and 2010, there were 9.6 million Latino births in the U.S., while the number of newly arrived immigrants was 6.5 million. The present decade is on track to repeat this pattern, with 5 million Latino births in the U.S. between 2010 and 2015, compared with just 1.9 million newly arrived Latino immigrants. The problems created by the enormous population boom is the lack of assimilation into American Culture and Society. Second generation assimilation has been stymied by the constant replacement of Hispanic speaking polulations entering the US Legally and Illegally. Most Illegals are here on Visa Overstays, which is the easiest way to enter and merge into the large Hispanic population. Unfortunately Illegal populations continue to live in the shadows and commit additional Illegal acts to stay under the radar such as; forged documentation. Region, Continent or Race: African American, Asian American, European American, Latino American, Middle-Eastern American, Native American, or American Indian, Pacific Islands American. This plays into the hands of Identity Politics to use Culture and Nationality against each other for the sole purpose of power. When in our history has a Foreign Population demanded that we speak their Language? What's most troubling is the intersectionality creating the nature of social categorizations such as race, class, and gender as they apply to a given individual or group, hence Hyphenated populations. Once identified within a specific group, suppression within a socio-economic and political schema, hyphenation may work against an individuals rights. Multi-Culturism has proven NOT to be conducive to Unity. We must be more concerned about what an individual offers their community and their willingness to be an American!